We also enjoy waves year-round with only a few flat days, so to come and enjoy the right waves for your surfing ability, take a look at the information on these pages we have compiled to give you a really accurate overview of our surf and weather conditions, a surf spot guide and our recommendations of where to stay. As long-time residents and surfers living in the fun surf town of Cabarete here on the north Coast, we know what we are talking about! When we talk about the two distinct seasons we have, we think of ‘summer’ as May to September and ‘winter’ October to April. Summer waves are quite different to the waves of the winter season. This is because our winter wave season is driven by (snow) storms passing across the United States, sending waves south to us, which travel over a great distance to arrive on our shores as North, North West or North East swells. Because of the distance travelled, these waves normally have a longer interval than summer waves. The straight North and the North West swells are the holy-grail here with intervals of 11 to 14 seconds and when they arrive, several spots on the North coast open up and our surf can be truly world-class and uncrowded. It is also less windy in winter and surf conditions stay good for longer. An average winter wave height will be 4 to 5ft, or head-high. 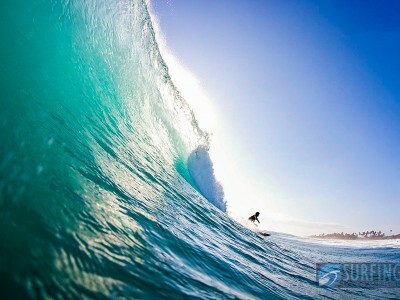 In summer, our waves generally come from the East with shorter intervals and smaller swells. Average wave heights are 2 to 3ft, or chest-high. If we have some flat days, they are most likely to be in June and July. Winds are also stronger in summer (especially June and July), with wind picking up from around 1pm onwards. 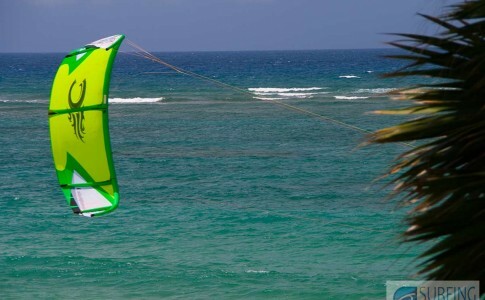 This is what makes Cabarete such a popular place for kite-surfers too. 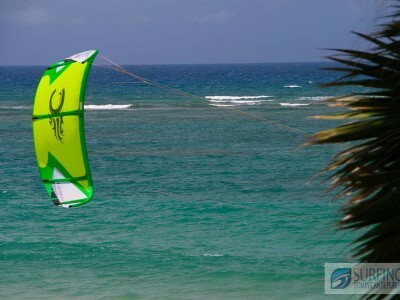 However, pretty much every morning in the Dominican Republic has gentle, off-shore winds and glassy conditions to enjoy. We can also have hurricane swells: Some of our most epic surf conditions (double overhead) have resulted from hurricanes passing to the north of us (see our weather page explained for more info about these storms and their effect on the North Coast). Which season is best for you to visit? 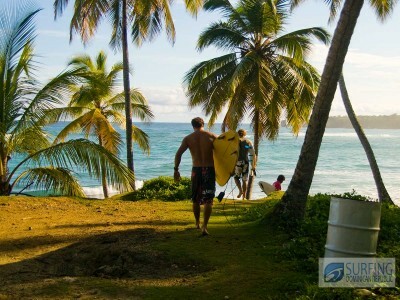 If you are a beginner surfer, you can enjoy surf at any time of the year in Cabarete. This is because whilst the summer waves are gentle enough for you to paddle right out into the line-up within a few days of your surf course starting, winter waves are also OK for you as they have more ‘punch’ and even during a bigger swell, you can stay ‘on the inside’ and continue to catch waves. 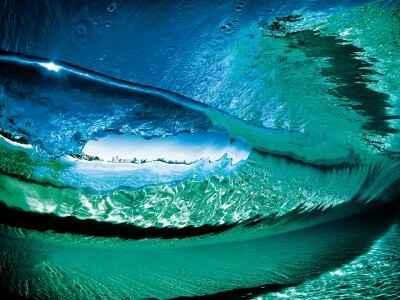 If you are an expert surfer, then we recommend coming between October and April to enjoy the bigger waves. If you are an intermediate surfer, then the summer season is probably the best time for you, with a couple of extra months tacked on: Any time between September and May would be likely to produce waves you will enjoy catching. We have spoken about summer and winter and we left out spring and autumn as they don’t really exist in our weather pattern. 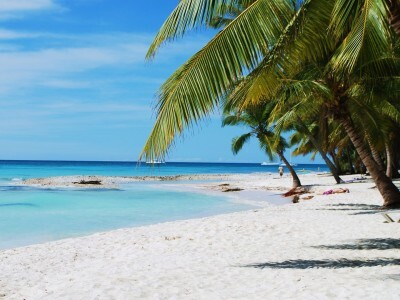 The most important thing to mention about our weather is that the Dominican Republic does not have a ‘rainy’ or ‘wet’ season, such as you would definitely experience in Costa Rica for example. Instead, being a mountainous (and large) island mass, it can rain at any time with tropical downpours followed quickly by strong sunshine once again. It is less likely to rain in June, July and August than in December and January for example, but days and days of rain are very rare. It is normal for the weather forecast to show rain on a daily basis, even though the rain is actually falling in the mountains whilst our beach areas stay dry. Average temperatures in summer will be low to high 90’s and in winter, high 70’s to mid 80′ degrees. It rarely drops below 70 degrees in winter, but some early mornings might require a hoodie for your first surf session. Hurricanes can form off the coast of Africa when the water temperature reaches a certain level: normally this is from late August through September. These storms then travel eastwards towards the various islands of the Caribbean. At some point on the storm’s journey, it either travels north or south of us, steered by the size of the storm and the sea temperatures as they travel. Often they are disorganised until they reach the West Indies. As we have such a large land mass and the highest mountain peak in the Caribbean (Pica Duarte), storms almost never pass across the Dominican Republic. People often confuse us with the tiny island of Dominica in the Lesser Antilles, which often gets battered by storms, but we will normally just receive some heavy rain and wind from a storm passing south or north of us. North is best: we all get very excited when a storm tracks north as we know we will get some amazing surf conditions: It’s time to wax the board!